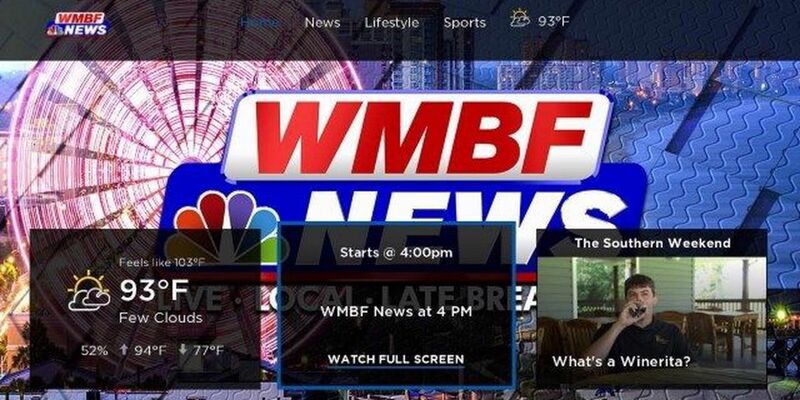 MYRTLE BEACH, SC (WMBF) - WMBF News viewers can now watch our newscasts, weather forecasts, local news video and more on the WMBF News Roku channel! Add the FREE WMBF News channel to your Roku device today for all the best from WMBF News. Search the Roku channel store for WMBF, or click here for more information.